Chia, a whole grain seed had been popularized originally in the US by the Chia Pet; however, it had also been a dietary staple of the ancient Aztec people. Of Latino descent, bad cholesterol had been a natural offset of traditional Mexican foods. Without pork and lard, what had been the value of tamales? 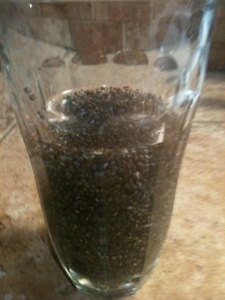 Chia had provided to me two key benefits, lowering cholesterol and reducing joint inflammation. A few years ago, my doctor had started to take a different perspective on holistic foods. In this respect, we had tried fish oil to supplement Omega-3. After some elevated bad cholesterol, a medical prescription had seemed a sure thing. At the end of my next doctor consult, I had been sent directly to local drugstore to purchase a $20 canister of Anutura (ground Chia). After working into my daily routine, subsequent blood work had consistently been in a normal range. Reducing inflammation for joints and preventing muscles cramping had been another benefit of Chia by maintaining hydration. 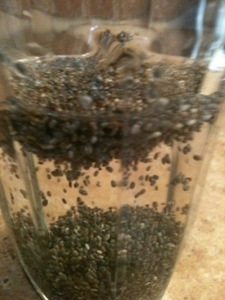 After running out of Chia for two weeks, I had noticed a big difference when exercising week to week. I have purchased both ground and raw seeds. 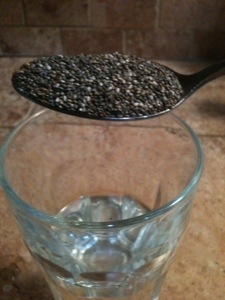 Combining with water, Chia had similar neutral taste and texture to grits. It had served as a greater thickener for protein shakes versus bananas. Outside of replacing some carb intake like potatoes, grits and oatmeal, Chia has been another source of calcium, protein and fiber. It has also served as replacement to standalone applications of soy, wheat germ, and flax. 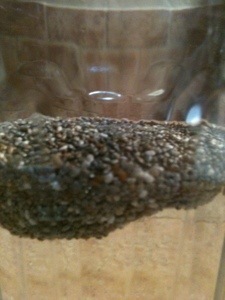 Below had been a series of shots and video demonstrating Chia’s final congealed form. 1. 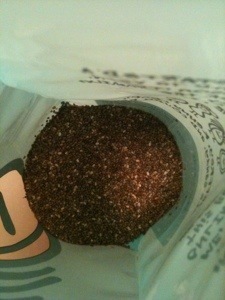 Bag of raw Chia seeds. 2. 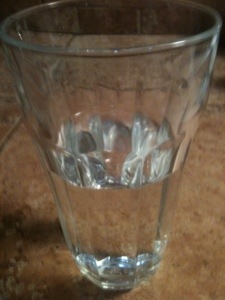 Glass of wholesome, American tap water. Fracking free please! 3. 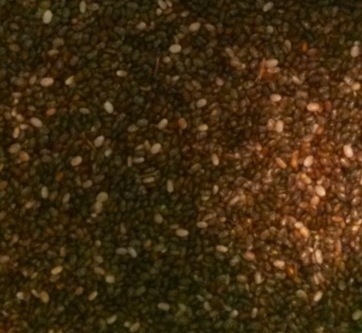 Tablespoon of raw seed. 4. The water absorption has started. 5. Mixing the contents of the glass had speed the absorption process. Popular places to buy Chia have been Anutra.com, Nuts.com, and local health food stores. This entry was posted in Food, Health and tagged Cha Cha Chia, Cholesterol levels, Digestion, food, health, Joint Inflammation. Bookmark the permalink. And if you don’t like the results, you can always spread it across porous ceramic objects, water and watch what happens.